Composting toilets treat human excrement using biological processes, turning it into organic compost material that can be used to fertilise the soil. They are small-scale, complete waste processing systems. The eastern world has been using composting toilets for hundreds of years, but it is only in recent years that they have become more popular in the west. All composting toilets decompose waste by creating the aerobic conditions for bacteria and other macro and micro-organisms to thrive. The objective is to destroy harmful pathogens, eliminate the risk to human health and environment, and transform the waste nutrients into fertile soil. They typically break down waste material to a small percentage of its original volume. Most toilet composting systems are low-temperature (mouldering) toilets. The waste material must be left for long enough for pathogens to break down naturally. At Mkunkhu school we have 600 children with 6 ‘log drop’ traditional toilets which are almost full. These toilets are a pit dug in the ground, walled with cement once full the next is dug. The nutrients can not be released into the soil, they have a damaging effect on the environment rather than complimentary, they are full of flies and unhygienic. 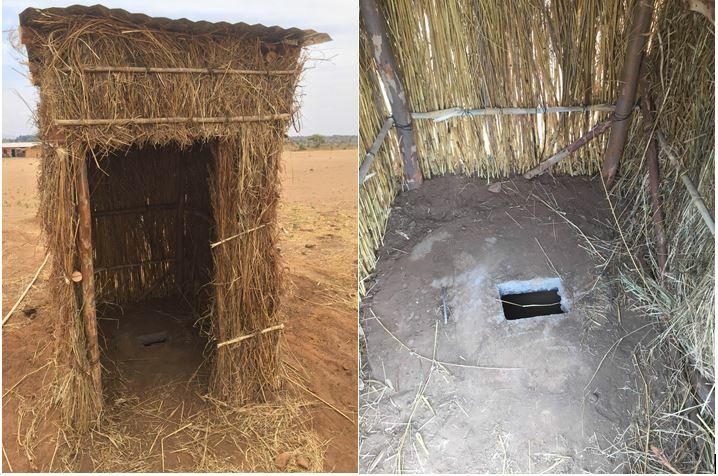 Two composting toilets have been installed at Mkunkhu school. With training to teach the community their benefits and how to replicate the toilets themselves. So the concept spreads. The materials have been provided now training has been given for 8 toilets to be installed at the school. The style of toilet that we have installed is called an “Arbor Toilet”. This type of toilet is a moveable frame positioned over a 2m deep pit. When the pit is full, the frame is moved and the pit is covered over with soil and has a fruit tree planted where the pit used to be. Within 6 months these trees will bear fruit and there will be an orchard at the school. We have installed this type of toilet to teach an understanding of the safety of using human faeces as compost. Once this introductory phase is complete, we will introduce the second phase, permanent composting toilets, where the compost can be regularly harvested to spread on the food gardens. The reason that this project requires a proper introductory phase is to ensure that there is time for the community to be fully educated regarding human compost. Should there be an outbreak of an infection in the local area, whether related to the improper use of human compost, or due to something unrelated, we do not want the community to blame or abandon the project. After the Arbor toilets acting as desensitisation we will install phase 2 in April. This will be using ‘Earth Building’ techniques. 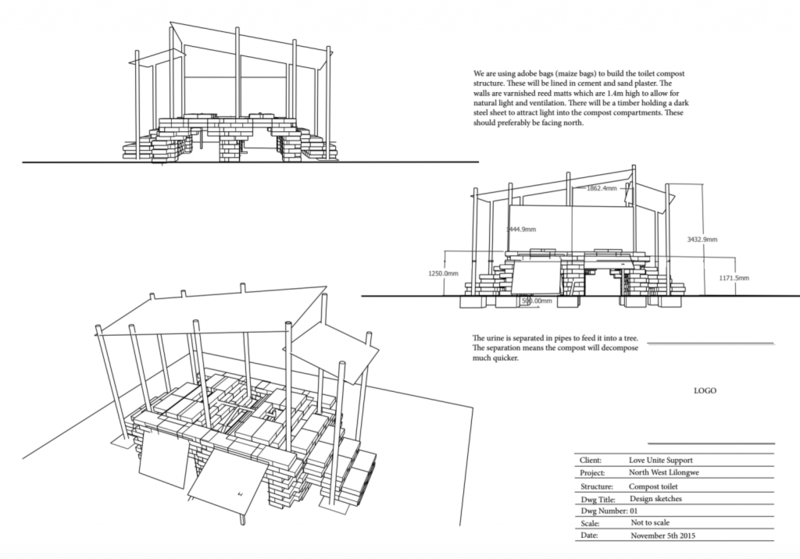 The build will train local builders new and totally natural techniques. The concept is then replicable in schools and homes around Malawi. The compost takes up to 6 months to become usable, the first ‘batch’ will be used on the hedge around the fields at the school, to protect the crops from animals. Again acting as desensitization. The second batch will be used on the crops at the school, providing much needed nutrients for the soil, replacing any need for fertilizer! Thus cutting the use of chemicals damaging the land, and the huge financial benefit.